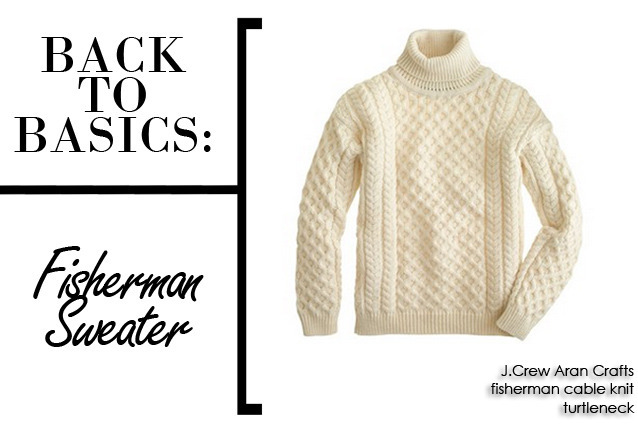 If you didn't know, there's a back story on the very popular fisherman sweater. People have been getting cozy in their fisherman sweaters for years and this style is definitely a staple during the Winter season. The fisherman sweater also known as the Aran sweater is noticeable because of the multiple cable and stitch patterns. Some say that the fisherman sweater originated on the Aran Island and the unique stitches was used to distinguished fishermen's bodies that was found at sea. However one of the main functionality that has remain constant throughout the history, is to keep you warm. While the temps continue to drop, I found some fisherman sweaters that will keep you toasty and comfy for the rest of the season.